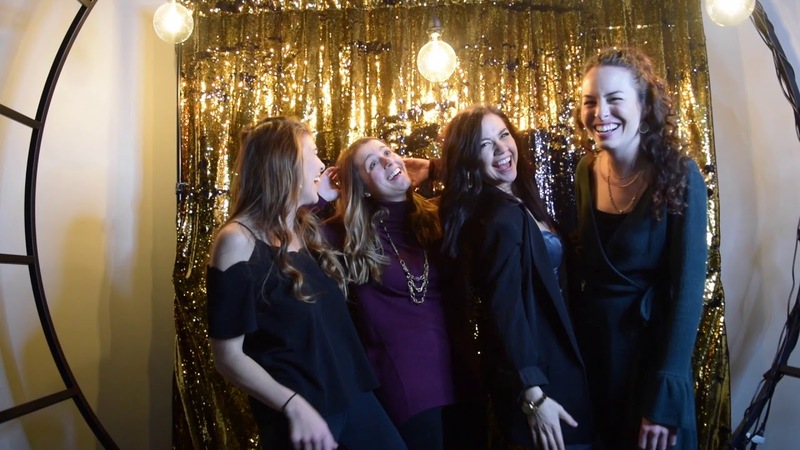 A DJ and Photobooth service that won't break the budget and will take time to personalize a mix for your event,MC and make announcements, provide dance lighting, and top of the line sound system. As for MCing I have over 15 years of experience leading youth events and have DJ'd weddings, Holiday parties, proms, banquets, and block parties to name a few. * I am open to travel most anywhere but travel fees may be associated depending on distance. Chris was awesome! We have him a semi difficult task, play 3 hours of non stop fun Christmas music, and he managed to execute it perfectly :) thank you Chris! Thanks so much for the kind words. It was a very fun event. Please let me know if you ever need a DJ again I'd love to work with you and your fun staff. Luke and Riley were great! Rain and shine Luke and Riley hung in there and did a terrific job for our community block party! Thanks so much Karen. We love to hear that and are thankful for the great review. I would highly recommend DJ REPEATABLE, very respectful ans hard working. Showed up a few hours before showtime to make sure everything was setup just right and ran smoothly. His passion for DJing shows through his work. Really looking forward to working again with him, a spectacular job! Thanks Chris, the Icons appreacite all your hard work! Wow thanks so much for the very kind words Bryce. It was a very fun event to DJ for...thanks for having me. We ended up with a perfect blend of contemporary Christian music and mainstream music. It was very easy to communicate with DJ Repeatable’s owner Chris. His online submission form was simple to complete. He was even able to add in 2 weeks before the wedding extra up lighting. On the day of, he emceed just as we would have wanted. Chris was able to adjust as things changed on the day of and none of my guests ever knew about it. Overall, Chris was very professional, easy to work with, great communicator, and a fun person. We totally recommend him and would use him again in the future. We had a Royal Princess Ball, and Chris did very well with our unique event. Will definitely hire him for future events! Chris does a great job with our Partners club dances. He is able to effectively keep things school appropriate, and he is able to make a wide variety of students (general education and special education students with autism) very happy. I highly recommend his services! Chris was prompt and set up well in advance of the students with special needs showing up for their Day Prom at the Waterford at Fair Oaks. He had a play list that was meaningful for the students and he often interacted with the students while to music was playing. I highly recommend Chris to DJ another school based event. Perfect for clean but fun high school dances! Chris is very easy to work with, and a fun DJ for high school dances. He's very intentional to be mindful of lyrics around students, which we definitely appreciate. And the kids had a great time! DJ Repeatable worked extensively with my wife and myself to ensure that our wedding playlist was exactly how we wanted it. He was organized, asked really great preliminary questions, and was flexible to last minute changes. At the event, he knew how to read a crowd well, and was able to keep the dance floor a popular location for the duration of our wedding. We were fortunate that he was also willing to MC, and he did a fantastic job transitioning to different parts of the reception with a great energy and sense of humor. Chris DJ'd our wedding almost 10 years ago, and he was AWESOME. He's the DJ that everyone wants but can seldom find: hip but not too trendy, knows and appreciates all types/sorts of music, and most important- has the ability to get all ages on the dance floor, enjoying themselves. I highly recommend DJ Repeatable for you wedding or event. You will get an individual consultation where we will talk through what songs are "must plays" and what songs to avoid as well as what kind of atmosphere and feel you want for your event. I will communicate with you leading up to the event and can send a playlist of planned songs for the night if you wish. 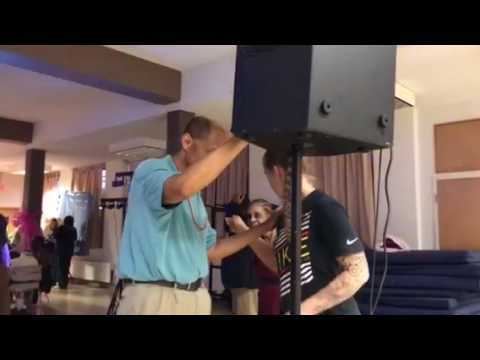 I use a top of the line QSC sound system as well as a lighting rig by Chauvet lighting. If needed I can not only DJ a wedding dance party but can run sound for the ceremony. I will also make any announcements you need me to make through out the event. I provide a family friendly and age appropriate service and will respect any wishes you have on content or artists to avoid. I also do my best to honor any song requests during the event unless told other wise or the song choice doesn't go with the over all atmosphere. I provide all equipment needed and will plan to arrive at least two hours before event start for set up and sound check. At Repeatable DJ, we are a team of service-oriented professionals who find joy in providing memorable experiences. Last year alone we served 100 gigs, 44 weddings, and 10 proms. When we're not spinning tracks, we work with youth development, including special needs students. We have a collective 50 years experience leading music, program, and MCing events for 1000 of teens and parents. We have seen it all from daddy daughter dances, to over the top themed Christmas house parties, corporate retreats to nonprofit banquets, and wedding traditions from around the globe. If you need sound, Karaoke, or photo booths, we can make it work. Were willing to travel, go above and beyond, come early and stay late. We thrive at figuring out ways to get everyone in the room on the dance floor from Grandma and Grandad to the aloof "to cool for school" teenager. Remember, DJs are like tattoos, you get what you pay for; go for us, the professionals, not the hobbyists. I bring all of my own equipment including QSC speakers and Sub, Chauvet Lighting Rig, mixer, Turntable, Microphones, extension chords, and table if needed. I will just need a place to plug in. Wifi is great if possible for ease of taking requests but not 100% necessary. My list is set to change depending on the crowd and what you want. Here is a link to a playlist from my last wedding. My tastes are very eclectic from old motown classics like Stevie Wonder and the Temptations and classic rock standards like the Beatles, Led Zeppelin, the Rolling Stones to 80's hits of the old school hip hop variety to the Clash and Aha. Current artists I'm digging but not limited to: Tame Impala, DJ Snake, Diplo, Duke Dumont. You can check out some of my past radio shows at repeatalberadio.com to get a feel for the music I play but for your event it will all center around what you and your audience would prefer. I have everything I need. If a table and or chair can be provided great if not I have my own. Wifi is also nice if possible.